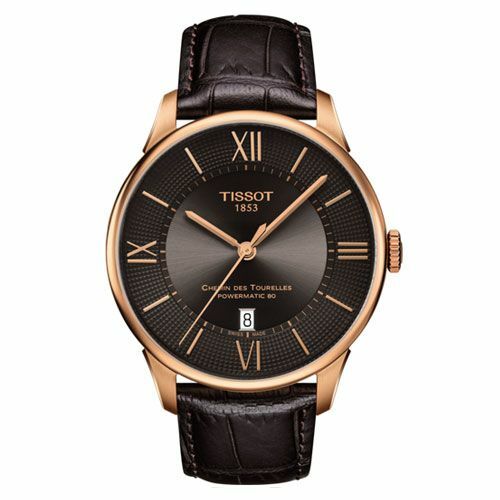 A high quality Gents Swiss Automatic Watch featuring a modern, bronze clock face boasting a timeless design with elegant Rose Gold detailing and a stylish brown embossed leather strap. 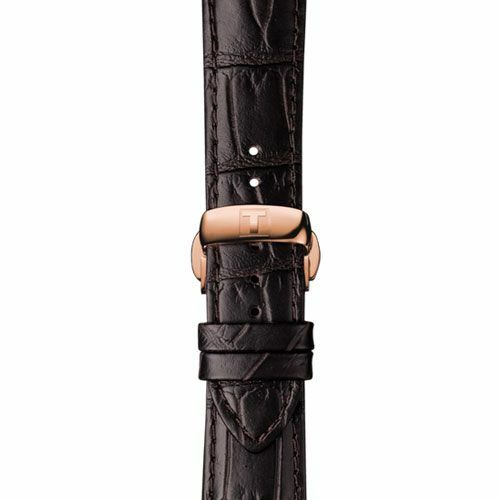 Featuring exquisite detailing, an elegant clock face and stylish Leather strap, completing the picture of classical chic. 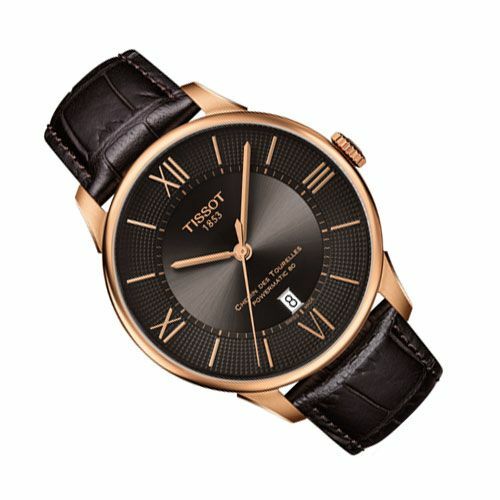 Forming part of the popular the Tissot T-Classic Watch Range, the Tissot Powermatic 80 Watch boats a modern design, suitable to match any outfit style.